« A sad song in a mobile home park. 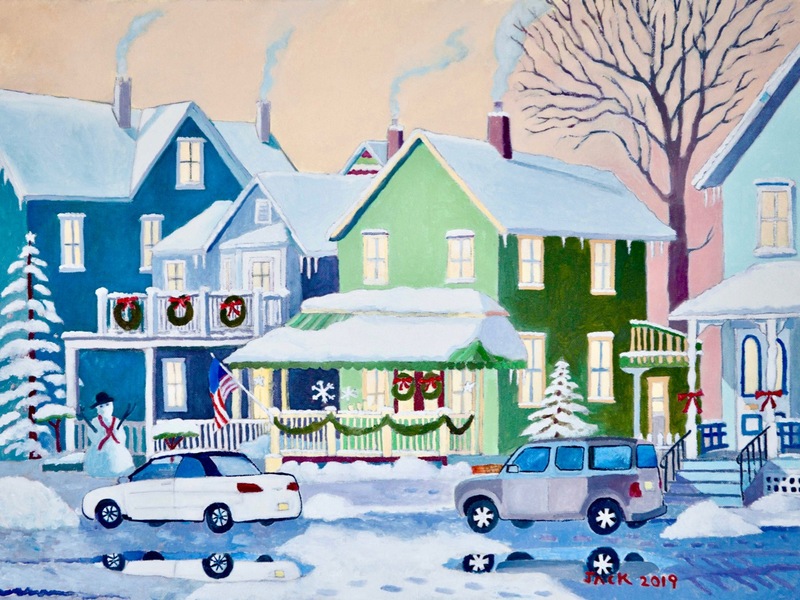 A masterpiece capturing the quaintness of Ocean Grove in its winter regalia! What gallery shows Jack’s art? Or does he have a website? I absolutely love this painting- might be my all-time favorite work of art from Jack! Looks like 97 Heck Ave. We used to live there for many years. If this painting is up for sale I would be interested in purchasing. The green house centerpiece is the house I grew up in. Great picture, Jack. Keep up the good work. Looks like a bidding war is about to happen. Once again, Jack, you knocked one out of the “Park”.